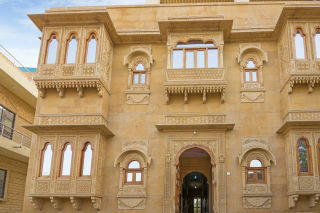 Located just 350 m away from Jaisalmer Fort, this is an offering of a private room in a heritage holiday home. 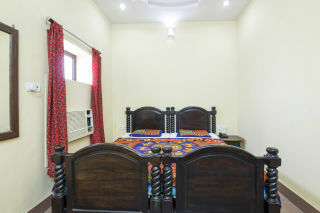 The room on offer can accommodate up to three people, and is ideal for a cultural vacation. 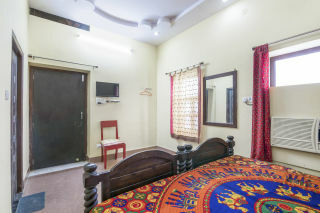 Your Space Designed with traditional architecture, this heritage stay is furnished to provide simple comfort. 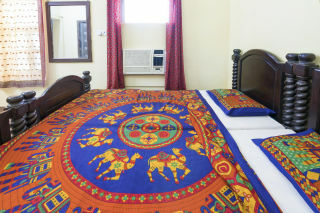 The room on offer houses a plush twin bed, a wall-mounted mirror, a flat-screen television, and coffee seating. The en suite washroom is tiled and well appointed with western sanitary ware. 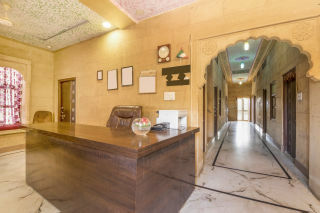 Guest access Feel free to spend leisurely time in the common areas and the terrace when you are not in your room. Guest interaction Feel free to reach out to the manager present in case you need any assistance. Neighbourhood overview Golden City Fort is located 700 m from the property. 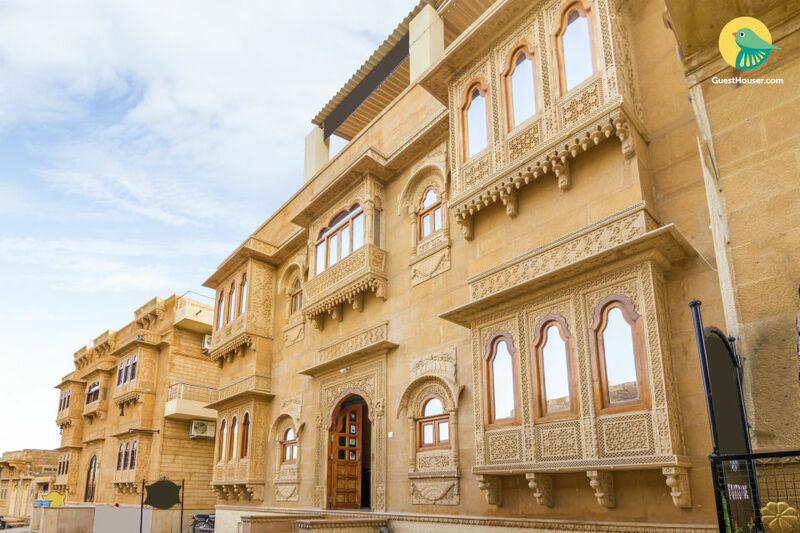 These are a few more attractions nearby that guests can explore- Gadisar Lake - 1.7 km Patwon Ki Haveli - 1.3 km Sam Sand Dunes - 41.1 km Bada Bagh - 7.8 km Getting around The property is located 14 km from Jaisalmer Airport, 2.2 km from the nearest railway station, and 1.3 km from Main Bus Stand, Gadisar Road. Additional information Guests are required to provide a valid ID proof at the time of check in. 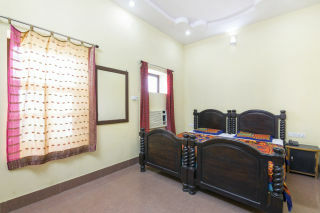 Breakfast is complimentary and other meals can be provided at additional charges. Amenities listed below are available and charged separately: -Laundry Please refrain from playing loud music.